Have you ever heard the saying, “The proof is in the pudding”? Some things can really look good and smell good, but until you taste it you will never know if the cook has prepared a good dish up to the standards you expect. Nothing is more true or important than what this ministry does and stands for... than results. It is the responsibility we have with each one of you... to use your precious gifts and be the best stewards possible to achieve true and lasting results in the lives of thousands of orphan children. When we first started Orphan’s Lifeline in February 2000, we weren’t sure of what the results would be or even what to expect. We knew that we wanted to save as many of these suffering children as possible, but beyond that we weren’t sure of the course God had planned for us or how and where the funds would come from. We were overjoyed when so many of you felt the same way. The struggles of suffering children touched your hearts and you just knew, like us, that you had to do something to stop it. Together we have done just that! We have taken thousands of orphan children off of the streets, out of the dumps and garbage bins and have literally saved their precious lives. Thank you! Without your compassionate heart and generous gifts, none of this would have happened and these thousands would have simply perished! That was eighteen years ago and now every year God’s course has become increasingly clear. We are seeing the deeper results in the children’s lives more and more every year we have them in our care. Like many of you, a lot of these children have been with us ten to fifteen... even 18 years. We have literally raised these children and every day we get to see and hear the tremendous results in their lives. Just follow the newsletter every month and you will see hundreds of happy, joy-filled, smiling children. This is the result of the love and care you provide every day in their lives. The original goal of saving and providing for countless orphans continues to grow year after year... producing extraordinary results. But going deeper... Who have these children become that we have raised? How has a loving, stable environment and God-filled home impacted their lives? To me, the one thing that stands out the most is the children’s deep abiding faith in Jesus our Lord. You cannot pick up a single letter and not see the depth of their faith and how much they have learned and depend on Him. Every month as these children come to age, we hear of their commitment and decision to be baptized... Children and young adults who love and serve God! Isn’t this the result every parent would like to see in their children? God will truly bless their lives because of their faith in Him. The second thing that stands out to me is their desire to learn. When we took these children off the street, most could not read or write. Very few could even tell time. Now the depth of their education is truly phenomenal. We have children educated far beyond the level of the majority of the population in their own communities. We have children planning and preparing to be doctors, nurses, engineers, preachers and future leaders of their countries... countries where literacy is twenty to forty percent. This alone will give each child unimaginable opportunity and a productive life. What we have grown is children with hope and opportunity where there was none and a faith in God that will never fail them. The last thing I see in the children is who they are on the inside. You would be proud to know every one of these children. They are loving, kind, generous and compassionate people who are aware and tremendously thankful to you for your investment in their lives. Every child has a desire to give back, to grow up and make someone’s life better... to return the gift of your love for them. For the year ending December 31, 2017, Orphan’s Lifeline International experienced an increase in revenues of 32.5%. Approximately half of that increase came from our Take a Child off the Street program. 10% of the increase came from one-time donations for special needs that was passed through at 100% for specific projects. The balance of the increase was a combination of annual, periodic and one-time donations to the general fund. Analysis of the sources and designation of the funds indicates that approximately 85% of the increase should be expected to continue in coming years. Donor retention remained at approximately 98% and Orphan’s Lifeline had a record number of new donors in 2017. Special needs funds came in at a record rate and as mentioned above, were passed through at 100% to each designated need. Graph A represents the total expenses and allocation of the expenses to Programs, Administration & Fundraising. Graph C then takes a look at how a dollar is spent, a more granular look at Graph A. Graph B then drills down a little further, analyzing the 89 cents of program expenses and breaking that down to the goods and services provided to the children. 2017 was truly and amazing & challenging year for all of us here at Orphan’s Lifeline International. What made it amazing was that each and every challenge was accepted as an opportunity by you, our faithful partners in this mission. Every day in 10 countries, thousands of children were cared for and loved in family style homes. They were given shelter, nutritious food, critical education, counseling, spiritual instruction and so much more. Repairs and upgrades were made to numerous facilities. Children graduated and moved on to trade schools and college. Some left the home and are now married. Some were reunified with relatives now able to properly care for them. Our Take a Child Off the Street program went very well with dozens more children taken off the street and integrated into our family style Christian Homes. This effort alone requires thousands of loving partners giving from their hearts to accomplish, but in 2017, we had to ask for much more than this, which is our status quo. 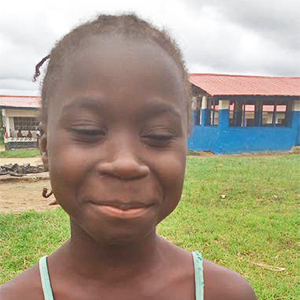 In 2017, we were all challenged with a brand-new opportunity in the form of a children’s home in Liberia. The Safe Home is home to 68 orphan children and has huge potential for development over coming years. In 2017 we took over financial management and oversight of this home, trusting that God would provide and He did! Christians stepped up to the plate and sponsored enough of the children there to cover basic costs. Congregations stepped up to the plate and helped us complete a water system and install a new high output generator for the facility as well. The children at Safe Home are doing well. They are happy and healthy and attend school and worship service on the property. Repairs to children’s dorms and other buildings – Doors, ceiling & wall repairs as well as painting. Construction of a single room dorm for Jeffrey (a special needs child). Purchase of equipment for a vocational training program to teach carpentry, agriculture and sewing to the children. There are many good things going on at this home! They are building one very large fish pond that should be producing fish for consumption and sale within 6 months. They are also starting gardens to produce more of their own food and they have MANY chickens as well. We are thankful for the challenge and opportunity this home has given us to do our part to care for these children. We are also very thankful to each and every one of you that have joined us in the ongoing care of the children at Safe Home. A Young Boy sitting on his new bed inside the newly completed home. As noted in our 2016 Annual Report, our CCIM Children’s Home in India learned that they were going to be evicted from the facility they had rented for many years. The director looked long and hard to find a rental in the area that would allow Christian orphans as tenants, but to no avail. Because of this, we were forced to look into building a home for the children that would be permanent and protected from such an event occurring in the future. Our prayers were answered when the local church agreed to donate land, engineering and labor. Then, Orphan’s Lifeline’s partners stepped up and provided special funding to get the building construction done, just in time to keep the children from becoming homeless! This was a collaborative effort of Christians from two countries whose love for these orphan children prevented what could have been a heart-breaking tragedy. We watched and reported as the ground was broken and the construction began. A small army of Christians toiled day and night, through the sweltering heat and torrential rains to beat an impending deadline. The children were moved into the home when it was less than finished but still close enough to provide safe shelter. Now, the home is fully functional with only small things left to do. They even have an unfinished second story that was donated by the concrete contractor after being inspired by what he was witnessing. We are thankful to God and everyone involved in making this home for the children of CCIM a reality. Breaking Ground At The New Site. As you are aware, we work in two specific areas in Russia. We work in the Barnaul Region where we are known as Love to Children, a registered Russian non-profit organization. We also work in the Khabarovsk Krai as a registered non-profit under the name of Lifering. Work in Russia continues to go very well for both regions, but there have been challenges as sanctions from the U.S. Government have done what they always do. That is that they impact the Social Services provided by the government. No area is impacted more than that of the services provided to the orphan children via the Ministry of Health & Education. The sanctions have forced the Ministry of Health and Education to consolidate orphanages in order to be able to provide even the basics for the orphan population which has not diminished in numbers despite failed efforts to get a foster program implemented. In our 2016 Annual Report, we wrote about our plans to help Gladys (our Africa Child Care Coordinator), start a home for a couple dozen orphans she helps on a daily basis. Thanks to our partners, the start-up funding for this home has been raised and set aside. 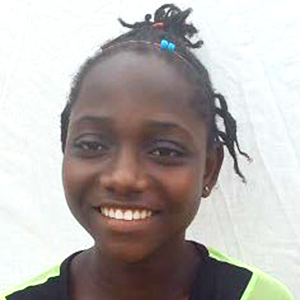 Several of the children now have sponsors and are cared for daily by Gladys with these designated funds. The remainder of the children are currently being helped via our General Fund as we work to find sponsors for them as well. Gladys is currently in the arduous & daunting process of the licensing phase for an accredited children’s home there in Kenya. One major hurdle in the process is finding a facility that will meet the standards, is available for rent, and with a landlord willing to rent for this purpose.An interim solution being looked at is the possibility of a temporary rental until a more permanent solution is found. Gladys will continue to care for the children on a daily basis as she works to make this children’s home a reality, and we will continue to search for sponsors for the remaining children. All it takes is a compassionate heart who sees the need and is willing to invest in a child’s life to literally save their precious life by becoming their personal sponsor. This is a serious commitment to provide the $3.20 per day to totally provide a home, food, clothes and the education an orphan needs to forever alter their life. Your donation of $100 per month will totally provide the nurturing and care a child desperately needs to survive. 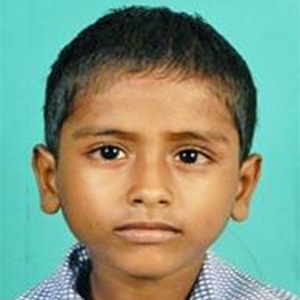 Please prayerfully consider saving an orphan. You will be the person in a child’s life who made hearing the Gospel and learning about Jesus’ love for them possible. Every six months you will receive a progress report and current picture of your child. 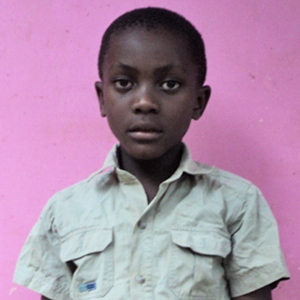 We would love to talk to you about sponsoring a child. Please call Tim at 406-257-0868 or email him at timm@orphanslifeline.org. You can also go online at orphanslifeline.org to learn more about taking one more child off the street. God bless your decision!